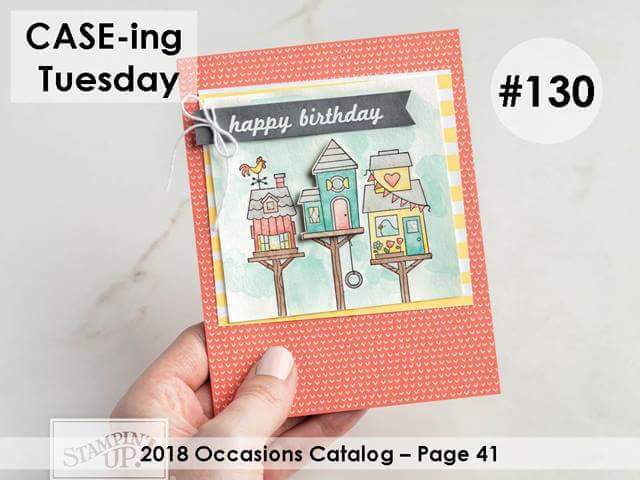 Hello, well I know today is actually Wednesday but I am one day late posting this weeks’ CASEing Tuesday Card. 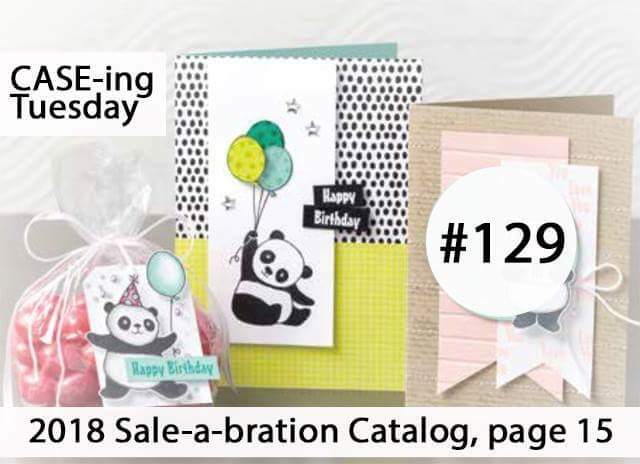 This week’s card is a CASE of the card on page 41 of the new Occasions Catalog. 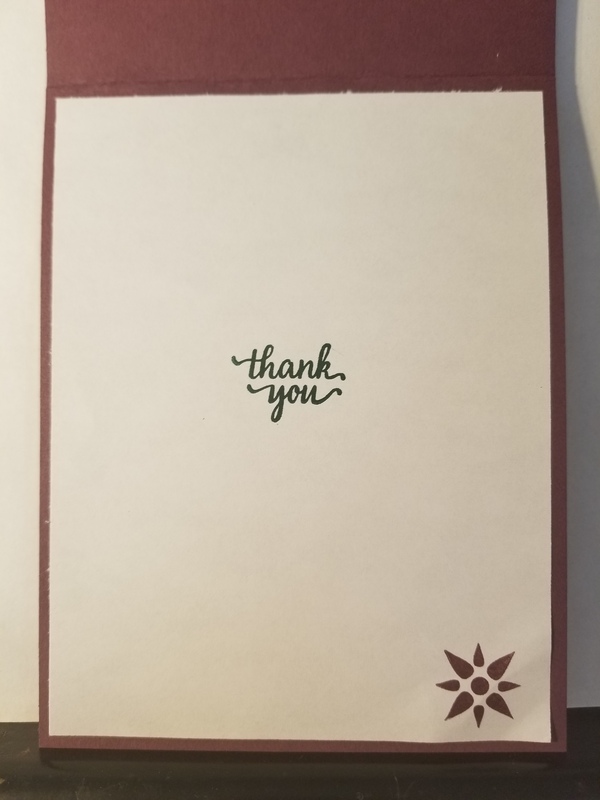 Here are the two cards. 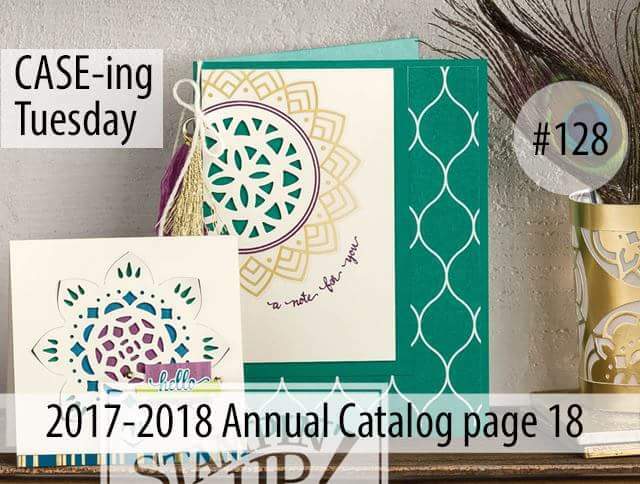 My version and the version in the catalog. 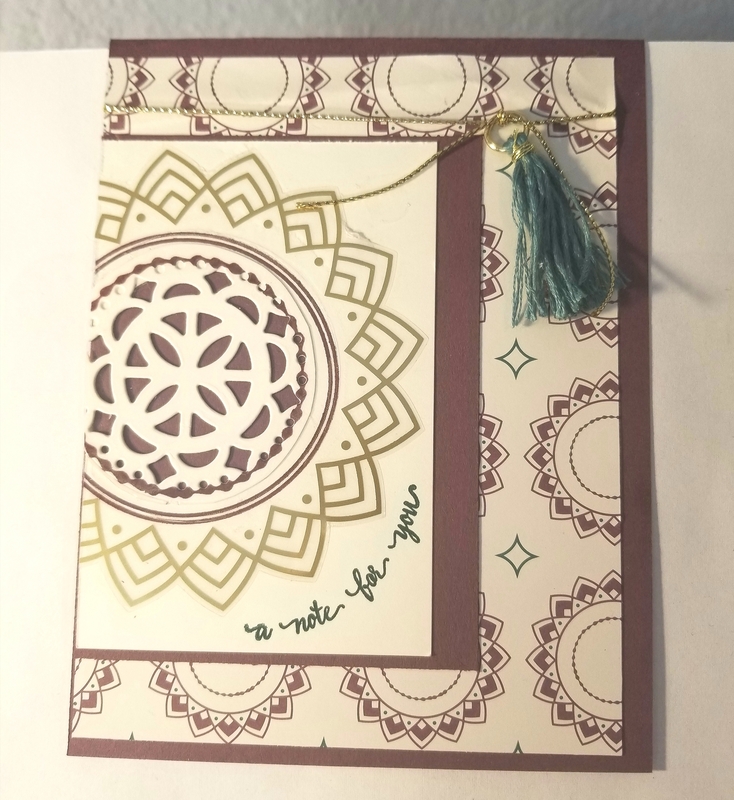 I choose to dry embross the card base to add the texture and use the Pick a Pattern Designer Series Paper. 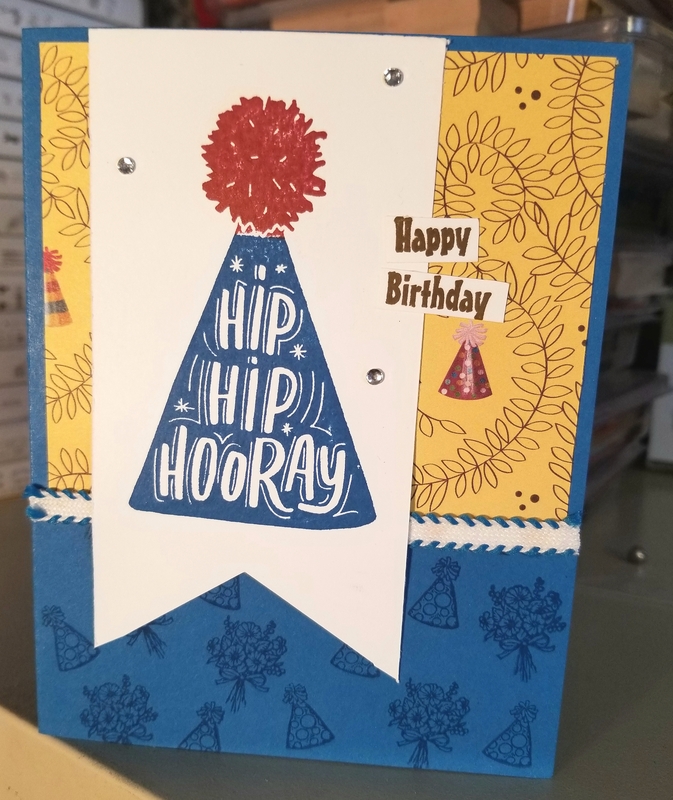 Then instead of watercoloring on the top layer, I used the Watercolor Wash background stamp, matching with Flirty Flamingo ink. 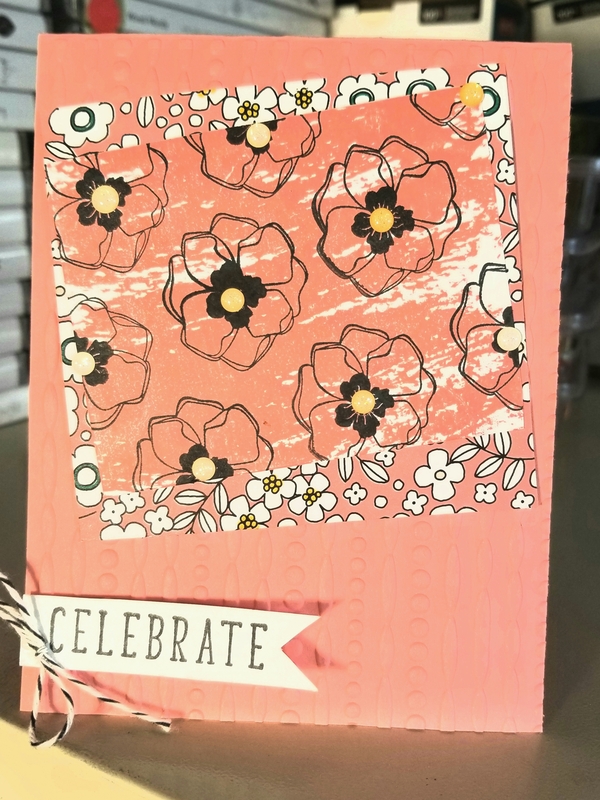 I then stamped the flower from the Color Me Happy stamp set which is still available in my on-line store. Please join us on the Facebook page CASEing Tuesday and CASE with us on Tuesday’s as often as you can. It is not necessary to do a blog post about it. It is something fun to look forward to each week. I used the Eastern Palace suite like the card it it is based off of which is shown below. I used the new in-colors, Fresh Fig and Tranquil tide for the ink and paper (Also very vanilla). 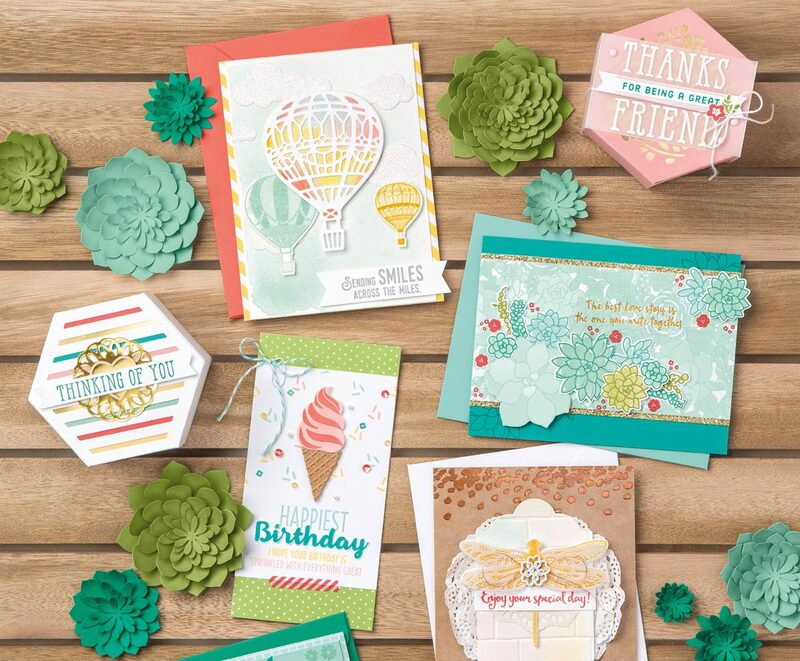 I used the stamp set and dies for this suite and the Designer Series Paper. I also used the matching gold stickers and tassels. Then I added some gold thread to hold the tassel. I did the inside as well.